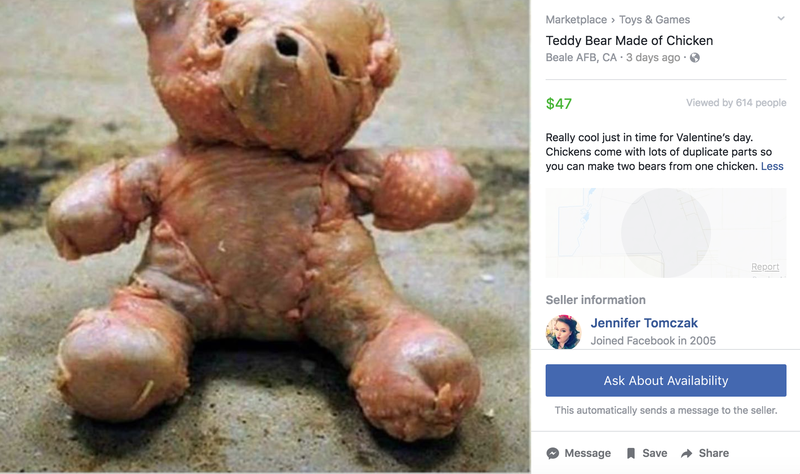 Teddy bear sewn from chicken “duplicate parts.” Hand-made. Perishable. $47.